Several defaults were changed to allow a faster creation of a pleasant looking and readable chart. So the diagram size is now larger with 9x16cm wide screen. That allows also for larger fonts at the axes, data labels and legend entries. We have 10pt here now. The somewhat outdated comic style with black borders around all the data points and symbols was left behind in favor of a modern clean look without borders. The 3D charts have received some tuning in the geometry creation and the default lights to brighten things up. They have been too dark and grey so far. Pyramids have got a new geometry also and are rotated with the flat side to front now. The floor in 3D charts has been flattened. And 3D charts are now created with "realistic look" by default, that means (no borders and smooth shading). A tip. If all these defaults do not fit your needs, und you have typically many changes to make on each chart, the following might help saving time. Create a chart from some dummy data with as much data series as you will need at maximum. Create also some dummy titles if you have them typically. Then make all the settings on this chart. Set your own typically used chart type, colors, line style, line thickness, fonts etc. Save the Document with the Chart somewhere where you have easy access to it. Now every time you need a new chart, open this document and copy the chart from there. Afterwards simply drag and drop new cell ranges on it. #i115104# - sc: date format not copied special. or display is wrong. #i115102# - sw: Saving to .doc (97) with a column break adds a paragraph before the break. Up earlyish, off to NCC - visiting speaker spoke on troubles, peace, and joy. Home to prep for lunch. Chris, Joy & daughters over for lunch from Oak Hill - lovely to see them, fantastic to have sorted relatives. Enjoyed their company for some hours, first fire of the year - starting to get rid of the huge stack of wood left over from the building work. Sogged in front of some children's DVD with the babes, light tea to make up for the mammouth lunch; bed early. Up early, dropped remarkably reasonable babes off with the Brighty's, and off for another day session again with Steve Hall. Studied the Five Circle theory: Physical, Emotional, Volitional, Rational, Spiritual - at some length, most interesting. Ellis' A-B-C-(D-E-F) theory, Did a little self-awareness work - scary enough. Back to collect babes, read stories, dinner, bath, bed, lay around talking until late. This post is a sequel to this previous post, so refer to that post for the detail of what I've been working on. which should be just adequate for what it needs to do without being too annoying. delete contents - launch the delete contents dialog. delete - immediately delete the cell content, without the dialog. fill down - fill cell content downward within selection. data select - launch the selection list dialog. Note that all the other key bindings are left untouched. Also, the list of key bindings that can get reset by this functionality may grow in future releases. When using this library without the C++0x support, however, you need to define the MDDS_HASH_CONTAINER_BOOST compiler macro in order for the mdds library to use boost's hash_containers, instead of the ones from C++0x. Similarly, you can define the MDDS_HASH_CONTAINER_STLPORT to force mdds to use stlport's hash containers instead. Up early, prodded mail, ran tests builds, did some product analysis. Knocked out my Mannah House homework: "List some of the key elements / concepts of, and differences between Psychoanalytical counselling, Person Centred counselling, and Rational Emotive Therapy." and mailed it off. Lunch. Fixed lpsolve dependency problem; $(IFEXIST) doesn't work on directories (it turns out). Analysed the output from another of Julian's wizard valgrind tools run on LibreOffice. Added another easy hack or two. Tried to dig through the torrent of good mail & patches flowing into the inbox. Dinner with Mary, out with J. to counselling evening with a new lady - Lynn; amusing evening about pratical counselling, communication, etc. I'm happy to announce LibreOffice 3.3 beta2 packages for openSUSE. 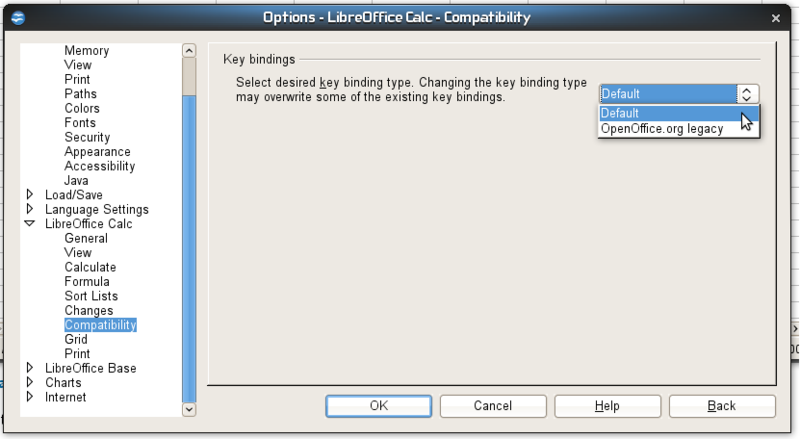 They are available in the Build Service LibreOffice:Unstable project. They are based on the libreoffice-3.2.99.2 release. Please, look for more details about the openSUSE LibreOffice build on the wiki page. packages can't be installed in parallel with the generic LibreOffice linux packages; the problem is that both builds use the libreoffice-ure package name; it will be solved in beta3; a workaround is to install the package using "rpm -i" instead of "rpm -U"
EIS: OOO330_m11 ready for use. OOO330_m11 has been built by Hamburg RE. No open build problems are known, and smoketest has been passed successfully. Gullfoss: Is this a text file, or an Excel file? A lot of tools (web-based and others) claim to output XLS (Excel) files, when in fact they write files that have the .xls extension but contain CSV or HTML content. If you open an HTML file in OpenOffice.org, without selecting a specific filter, it's opened in Writer/Web, because that's the best option for HTML editing. Similarly, text files are opened in Writer. But users expect their pretend-to-be-XLS files to open in Calc, as if they were real Excel files. The CSV filter was configured with the extensions .csv, .txt and .xls, so for any file with .xls extension, it was checked if it might be a CSV file. This was somewhat fragile because it depended on the order in which the filters were handled. System registration for file extensions is done with the module executable, that is, "scalc.exe" for .xls. This causes the framework code to only look for Calc filters when opening the file from the desktop or from a web browser. But it doesn't work on the Macintosh, where we have only one executable. So we had to find a better solution. With 3.3 Beta and the fix for issue 89332, this is now handled explicitly in Calc's filter detection code: If an XLS filter is pre-selected (in the dialog, or automatically from the .xls file extension), and the file content is HTML or plain text, the filter detection accepts the file as valid and silently changes the filter to "Text CSV" or "Web Page Query". The file is automatically opened in Calc, using the improved CSV import dialog or the new HTML import dialog. Short summary: Even if it looks like a text file, swims like a text file, and quacks like a text file, you can now call it an Excel file. October 13 saw our birthday. Ten years is a long time and even longer when you think about it. Each day-pff. A long moment of waking, eating, exercising, loving, talking, eating, sleeping, and then again. Pause and the weekend passes with all you haven't done and look forward to the new week to come. Repeat? Hardly, each week, month, quarter differs, marked by forgotten memories recalled at odd moments, marked by the wonderful persistence of others, friends, colleagues, acquaintances, met at conferences and domestic places. And code: evolutionary, progressing, slowly catching up with the notions of the future born of too much science fiction-but getting there, now, ten years in. In my birthday message I couldn't describe what a profound personal and cultural and even political change we, the OOo community, have really made. Prior to our intervention on this global stage there was no cry for open standards in edocuments that had gotten any traction; there was only the acceptance of "just like a standard" because it was universally (!!) used. There was, in short, massive misunderstanding and the acceptance that the opaque status quo, where you can only accept the commodity because there is no choice. There was no or little sense that the decisions to adopt, which is to say, buy, this or that software for desktops (numbering in the tens of millions) was anything like a political decision, and thus subject to public scrutiny and standards of accountability. Now there is. I first raised this logic sometime in 2003, 2004, at conferences, where I urged people to understand that their tax dollars were at stake when software was bought for government use, and that there were quite reasonable alternatives, both to the application and to the format. It was a kind of "political" argument but of such a nature as irreducible to any political agenda, unless one should foolishly argue that patronage, corruption, and opacity constitute a kind of political stance. They don't. They constitute a phase in civilization that we strive to emerge from, however imperfectly, however much we slide back. But OOo gives us the tools to step more boldly into the light. It's not a matter of insisting that one use X over Y. It's a matter of insisting that the purchasing actions be accountable, that they be defensible according to the terms we accept. Spend tax revenue (and associated interest income) on tools that do the job not on brands that cost more and do more than is needed. Comment: Vendor lockin means that it's really hard, if not financially and technologically impossible, to move away from a vendor's system, as millions of documents, and the applications required to work with them, cannot be easily transferred or ported over to another system. It's a catastrophe, and it has configured much of our software universe. But not only that. We see it with the internal combustion engine, we see it with structures of power distribution, we see it in many places: what we did long ago has consequences today-global warming comes to mind-and changing things to a more desired way is immensely, immensely difficult. But not impossible. We, modern civilization, got rid of the utterly needless lead in gasoline. We got rid of asbestos in many places. And so on. When the need is clear, the concerted effort is possible, the result achievable. I see this now with software. There has seldom been a time in human culture when the informational drama has been so stark. That's because there has never been a time when there were so many children needing schooling, when there were so many adults needing re-training (because their traditional ways of life have been demolished by, say, climate change), when so many are moving to cities and thus away from rural areas, and in cities, they need not just to know how to read and write but how to do that on a computer. And they need to be able to exchange their ideas, their readings, writings; and do the other things that demand knowledge of and access to software enabling these communications. Free software enabling the capture of thoughts and their communication is requisite for a future that is a future and not a dreary dive into the past. It is needed so that children can be taught, so that adults can communicate without cost and fear, so that new things designed to address the dramatic spectacles of our present and future lives can come into being. And OpenOffice.org is the key to that. Whether as we see it now, as an integrated application, or as a set of useful tools drawn from the "Cloud" is beside the point. It's the free technology unbounded by platform, license, imagination that is key, and that uses an open standard, the ODF, that frees you to choose what works for you-not for the vendor. So, happy birthday, OpenOffice.org, and thanks to all for the support, contributions and community. We really have changed the world, we really are changing it. This first decade-Well, it was our childhood. We are reaching now, in the second decade, the next phase, and it's a phase we all look forward to. I'm proud to be a part of OpenOffice.org, to be part of the global community and to have had a small part in changing the world for the better. How many can say the same? But isn't that the point? Join us and make the difference needed.